Tsunami Glass Minnow Teasers are the perfect teaser for your fluke rig. Use a bucktail on the bottom and attach the Glass Minnow Teaser to a dropper loop at the top. 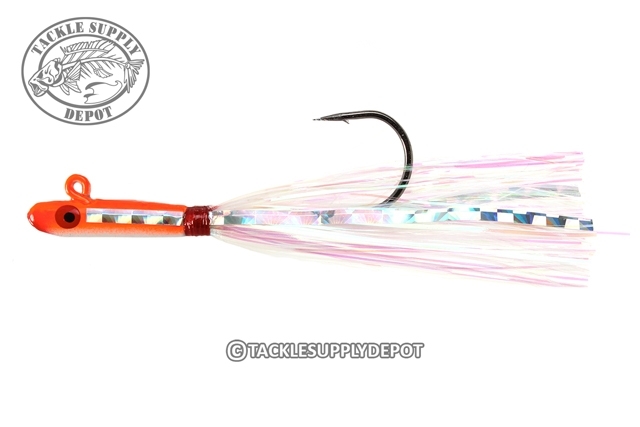 The fish won't know what hit then.Tsunami Glass Minnow Teasers feature a holographic mylar foil tail which reflects a great deal of light, bright dimensional eyes and a high gloss finish that is extremely durable. These extremely effective teasers feature a great 3/0 round bend hook. Wanted some tackle for fluke, never used site before, order easily placed and got items within a few days. Price very competitive. Would use them again.